The book Artist's Journal Workshop is totally inspiring me art wise. Its full of ideas and beautiful pictures of mixed media art (mainly ink and watercolor). 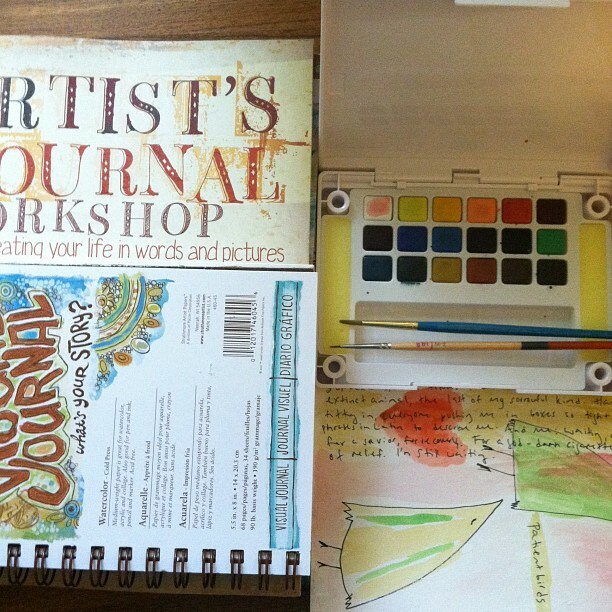 So last night I rushed out and bought a watercolor art journal to start filling with my little creations.